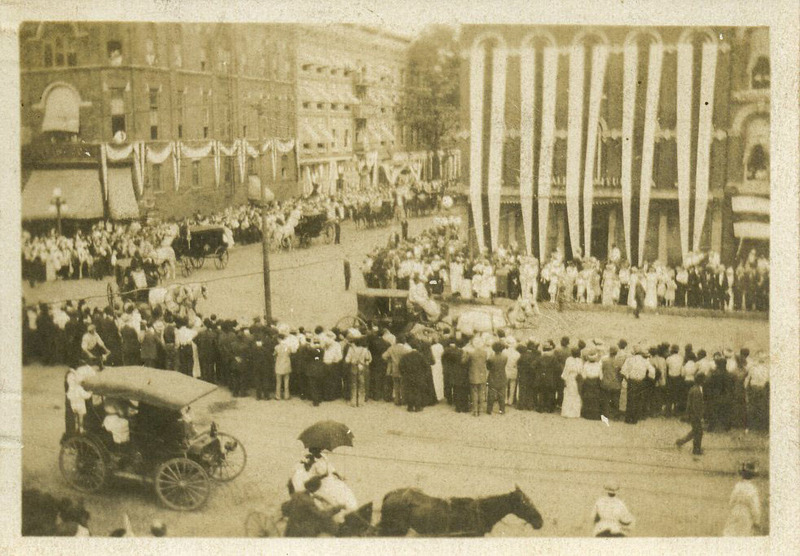 Photo of the funeral procession through the town of Rome, Georgia to Myrtle Hill Cemetery, where Ellen Axson Wilson was buried. “Funeral Procession for First Lady Ellen Axson Wilson.” Martha Berry Digital Archive. Eds. Schlitz, Stephanie A., Meg Ratliff, Christy Snider, Emilee Sargent, Amanda Mays, et al. Mount Berry: Berry College, 2013. accessed April 20, 2019, https://mbda.berry.edu/items/show/13451.